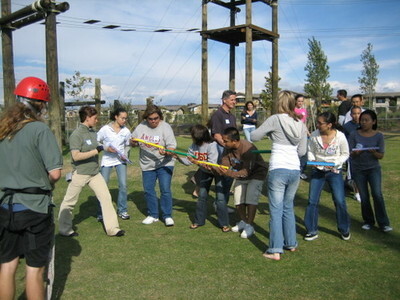 It is a GREAT start to a NEW Year with the Orange County AmeriCorps Alliance - Orientation 2006 at UC Irvine. OCAA New Team Members participated in team building activities through a ropes course and challenges, learned behavior management techniques, and OCAA policies and procedures. Good job everyone. View the pictures to see the members at work - click here!